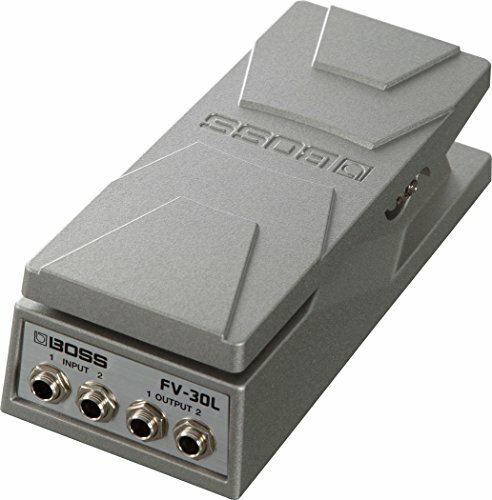 The BOSS FV-30L is a compact volume foot pedal designed with your pedalboard in mind. Specially designed as a space-saver, you get more room for more effects pedals without compromising the expressive performance you get with a BOSS volume pedal. Musicians have long-depended on the rugged durability and great sound that BOSS effects pedals have added to their playing experience. The FV-30L's all-aluminum die-cast chassis provides the durability, and smooth responsive action gives you the sonic performance BOSS is famous for. If you have any questions about this product by Rock Island Sound, contact us by completing and submitting the form below. If you are looking for a specif part number, please include it with your message.